Everybody’s into two great ’80s tastes that taste great together, right? That’s the pitch behind this parody of Duran Duran’s “Hungry Like The Wolf” that has been re-made to center on the adventures of T-800 across the first two Terminator films. (Yes, Terminator 2: Judgment Day didn’t come out until 1991, but the song still works even with that conceit.) 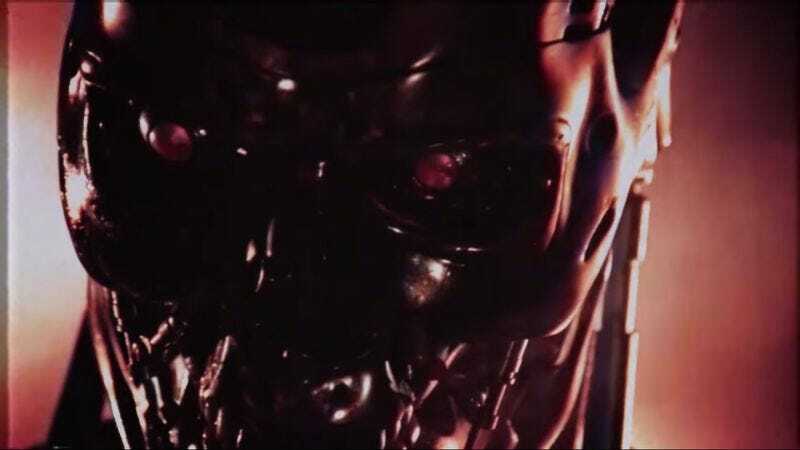 The video and song were created by YouTube user Bonecage, and follow Arnold Schwarzenegger’s relentless execution of first pursuing Sarah Connor and then protecting young John Connor from the clutches of the T-1000. It’s a simple parody song matched up brilliantly with a properly degraded-looking video, looking like a videotape that’s been run through the VCR numerous times, and it sports the appropriate battle scars/tracking lines.